The CPAP Hydration Fluid by Aireon Technologies is a patent pending product containing water that is purer than distilled water. 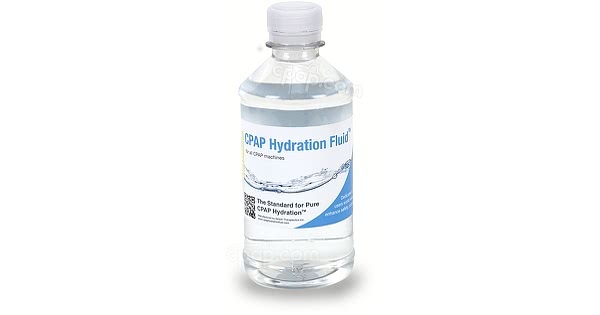 The CPAP Hydration Fluid will help reduce contaminants and build-ups in CPAP water chambers left by other types of water. The CPAP Hydration Fluid by Aireon Technologies is purer and safer than distilled water, helping decrease humidifier chamber build-up and cleanup time. 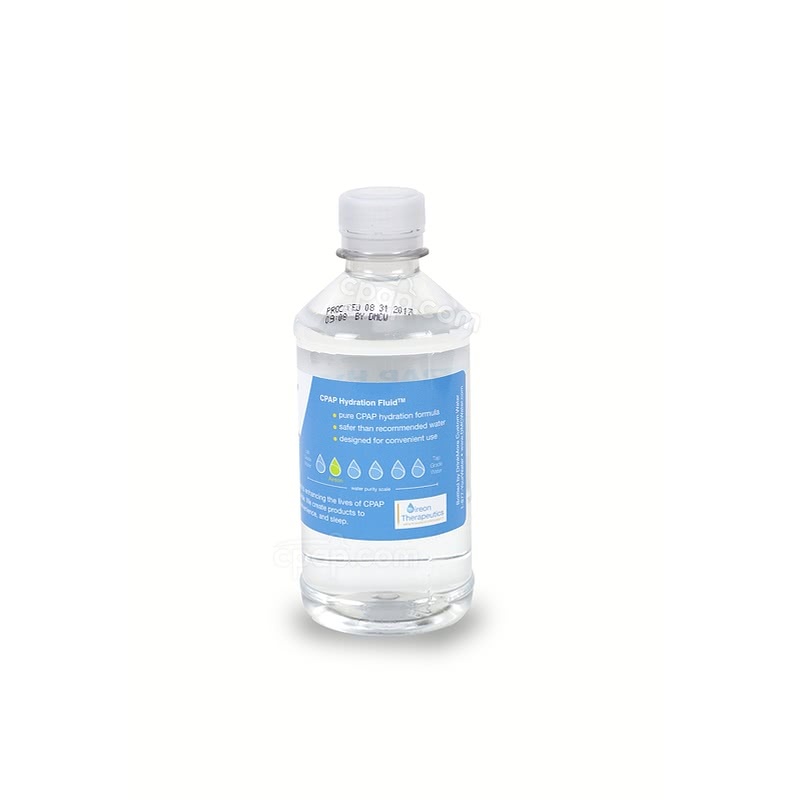 The Hydration Fluid is manufactured using a patented 9 step process and bottled in a class 100,000 cleanroom, helping ensure clean air and therapy. Weighing under a pound, the CPAP Hydration Fluid will fit conveniently and discreetly in any suitcase, purse, or travel bag, allowing anyone to travel with pure water without bulky gallons of distilled water. With 12 fluid ounces of pure water (355 mL), the CPAP Hydration Fluid is single use and will fill most humidifier chambers. 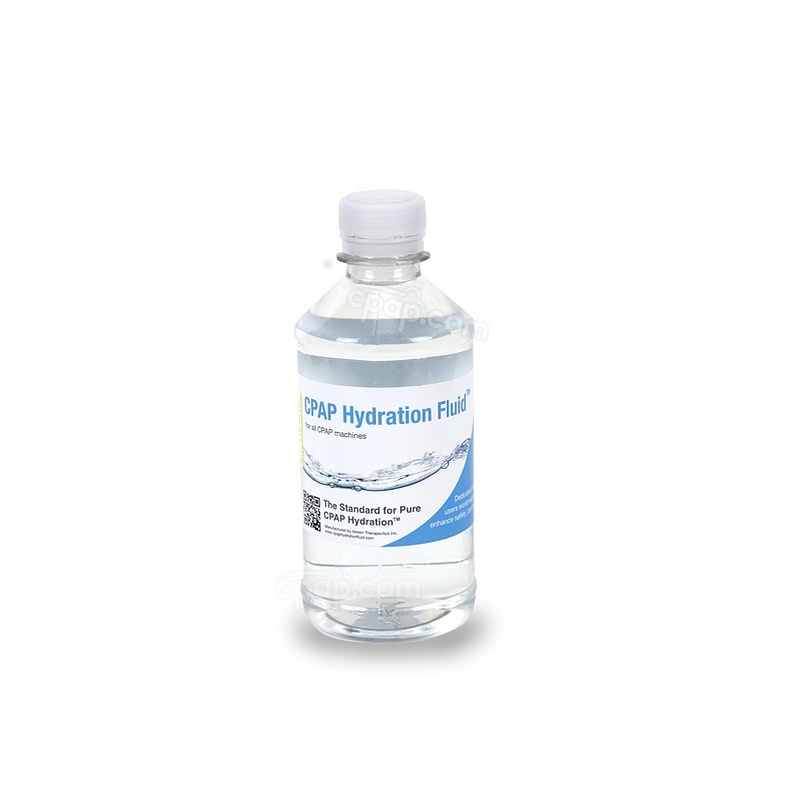 The CPAP Hydration Fluid is purer than distilled water and will create less build-up in the humidifier chamber; however, it is still recommended to wash the humidifier chamber on a regular basis to ensure the cleanest air and therapy.